Goodness what a niece.. knows the way to her Aunty's heart (and making sure she's in the good books for more merino winter goodness.. if winter ever comes). Pretty much self explanatory isn't it. Next up I'll show my new togs (swimmers), hopefully a wrap dress and I'll let you know how the destash went today. 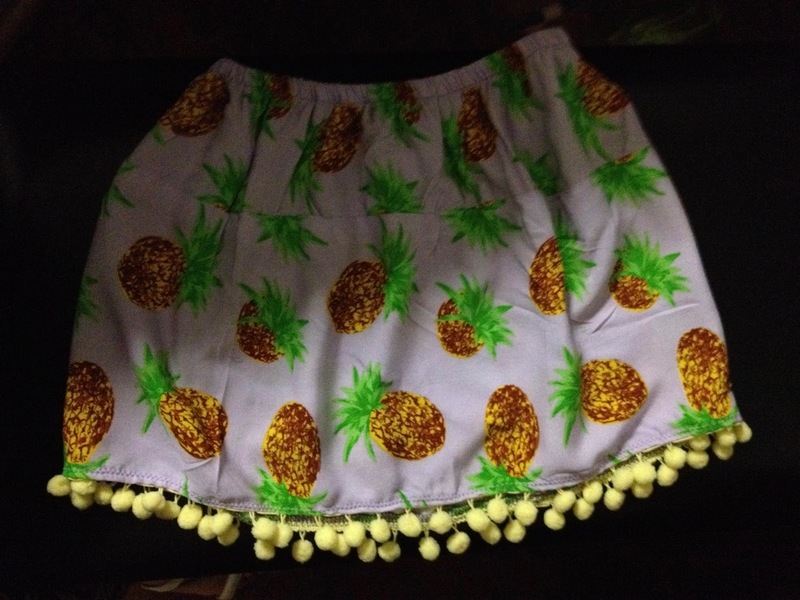 Such a cute skirt! You are a lovely neighbor! Happy birthday. Isn't it nice when people give thoughtful gifts like your niece and you ! cute skirt and lovely sewing bouquet!! Happy belated birthday! And what a lucky neighbour to get a lovely new skirt to wear. Very creative to make the skirt in tiers with the little fabric you have!